Growing up my mom used to make flan. It's actually the only thing she made out of a packet and not from scratch. I believe I was the only one who devoured it. I don't think my five brothers and sisters really cared much for it. I often 'grill' my mom, on long distance phone conversations to Israel, about Indian food, but it never crossed my mind asking her about flan. I just had this pre-conceived notion about what I considered then, a Spanish dessert. Her making it from a packet just confirmed my assumption that her affinity to flan wasn't Indian bred but an acquired taste. Something she picked up when she emigrated with her family to Israel. Why would she make everything from scratch, but otherwise this single dessert from a packet?! Another call to my mom in Israel set me straight. It now makes sense, that flan would be very popular in India. Many Indian desserts are made with sweetened condensed milk so flan is right at home there in the subcontinent. Little did I know, until a few years ago, that in addition to Spain, flan is also very popular in Mexico and every country in Central and South America. In France, it's called creme caramel. There are some subtleties to the recipe from one country to the next. Although I love custards, and I have made Meyer Lemon Creme Brûlée, Orange Cardamon Creme Brûlée and Indian custards for years now, especially around the holidays, I had never before made flan. I was a tad confused seeing some recipes with milk and cream and some with sweetened condensed milk and evaporated milk. The entire flan/creme caramel added to my puzzlement, and how is flan really different from creme brûlée was another nagging question on my mind. So naturally I turned to social media. My kind, virtual friend, who I hope to meet one day, Jenni Field, of Pastry Chef Online, came to my rescue with a bit of a discussion. Her suggestion, when I said I prefer the Spanish version, was to go with 1 can sweetened condensed milk, 1 can evaporated milk and 4 eggs and play with the recipe from there on. Thank you, Jenni! I read extensively, and compared recipes and then ran it by my creme brûlée quantities, method, technique and oven temperature and then double checked some more. Some recipes, even with fruit pulp added, do not add any sugar to the custard, since the condensed milk is sweetened. I tested a few batches. First, I tried 1/2 cup sugar in the custard (not caramel). It was edible but very sweet. I eventually reduced it to 1/4 cup sugar and was very happy with the flan. You can opt to add none at all. I used 2 persimmons here, but I could have easily used 3. I didn't wish risking it and compromising the flan's consistency. As to the difference between flan and creme brûlée? The sugar in the Brûlée is added to the top and torched to caramelize after baking. In flan the caramel is made ahead and is the bottom layer in the ramekin. It's on top once the custard is inverted. Also, apparently in Flan, you use whole eggs, and in brûlée, you use only egg yolks. Though I have seen many cross-over recipes breaking this rule, if it is a set in stone by the pastry gods. Please feel free to add to the flan discussion in the comments section. A perfect seasonal dessert for Thanksgiving. Line a large baking dish with paper towel or a kitchen towel. Add the sugar and water into a sauce pan and mix. Turn the stove on low/medium heat. Let the sugar start bubbling and mix. Throughout the process, brush the crystallized sugar that accumulates on the sides of the pan with a pastry brush dipped in some water. Turn the heat on to high and let it bubble, without mixing, until an amber color is achieved. Adjust the heat a tad lower if necessary. You do not wish to burn the sugar. Quickly pour the caramel to coat the bottom of 10-12 ramekins and swirl each to coat the bottom well. Let it cool at room temperature. Add the persimmon pulp into a blender and blend to a fine, baby food, consistency. Add the condensed and evaporated milks, vanilla and cardamon and taste. Add a 1/4 cup of the sugar, if you deem it necessary and pulse a couple of times. Add the eggs and pulse a few times until the mixture won't show any persimmons tidbits. Do not over process the mixture. Run through a sieve. Work with a rubber spatula to press all the persimmon pulp through the sieve. Ladle the mixture evenly into the ramekins. Place the ramekins inside the baking dish on top of the paper towels or kitchen towel. Gently pour the hot water into the baking dish until it reaches 1/2 way up the ramekins. Bake for approximately 50-60 minutes. The center of the flan will be still somewhat wobbly. Take the ramekins out of the baking dish and let them cool at room temperature. Chill in the refrigerator overnight. To un-mold the flan, run a sharp knife around each custard in the ramekin. First place in a warm water bath for a few seconds, then place a dessert plate upside down on top of the ramekin and invert quickly to un-mold. You're right. This is the perfect seasonal dessert!! I want to try this for thanksgiving. I've never made flan before! I've never tried them but this makes me want too! 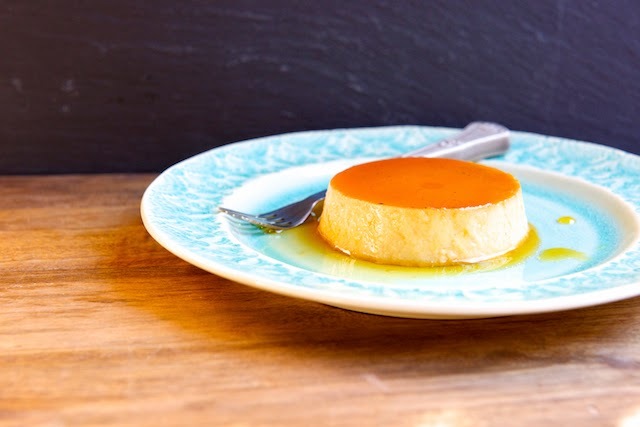 Flan is the dessert I make most often in my house...so simple, so creamy, everyone loves it. I love this persimmon version, and think it needs to make an appearance at the Thanksgiving table! What a lovely dish. This would be perfect for Thanksgiving. And flan is one of my favorites! I've never had a persimmon before but I could never pass up such a gorgeous dessert. Your photos are stunning! I've never had flan or a persimmon before. But I really think I need to try both now! Last year was the first time I had persimmons. They are so delicious and I love that you made flan. I'ts a favorite dessert of mine...yum! 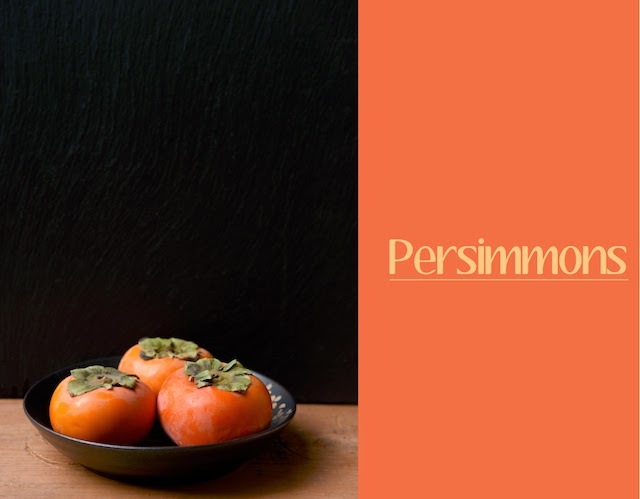 I fell in love with persimmons a few years ago, and this sounds like the perfect way to highlight their amazing flavor! 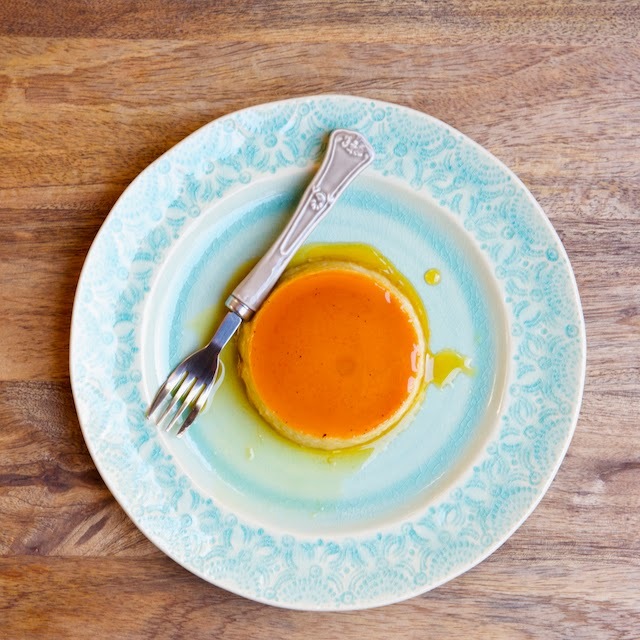 Flan is one of my favorite desserts of all time - I love how you included persimmons in yours! What a beautiful dessert! Ive never tried persimmon before, looks interesting! I've never had Flan and I feel like I'm really miss out!! Not only have I never made flan, I have never even eaten it! I am always in awe of how pretty a dessert it is. I must give it a try one of these days. I love all of your background information on the flan. I have always known it as a treat from Mexico since I am from southern California. Love your twist with the persimmon. It looks and sounds beautiful. This is such a cool recipe. I love all the photos. It makes you want to reach in the screen and steal a bite, or ten.